70+ investors attended the Startup Leadership Program (SLP), Bangalore Demo Day - Uprise 3.0. The startup event in Bangalore was sponsored by L&T & Citibank. 25 Startup founders pitched their startups in 4 min followed by 3 min Q&A. 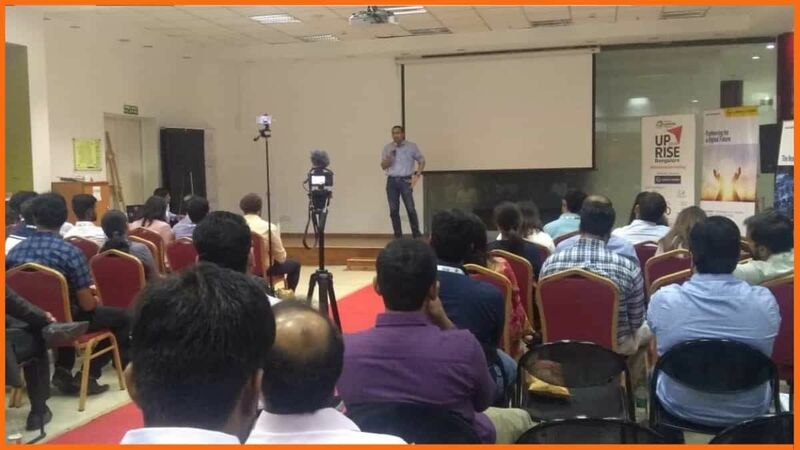 Uprise 3.0 was held at NASSCOM 10K startup on 4th April 2019. Uprise 3.0, one of the mega startup events in Bangalore, was attended by investors from Sequoia, Saif, Matrix, Stellaris, Accel, Orios, Barclays, Sprout Capital and Inventus. 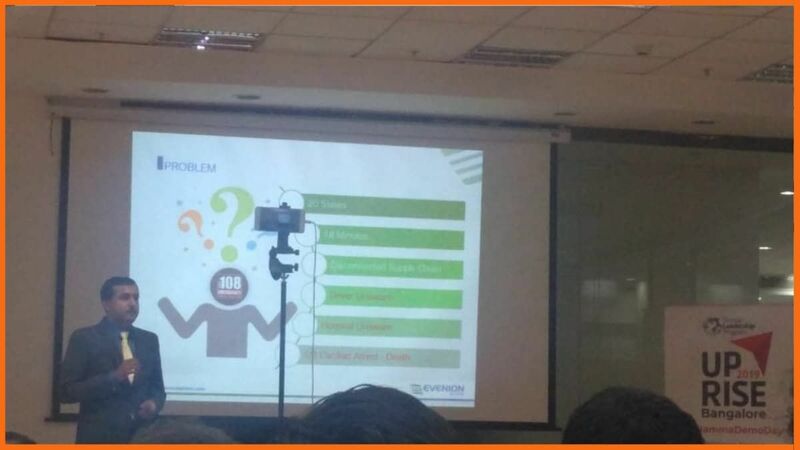 In his keynote, Rajiv Srivatsa, the CPTO and Co-founder of Urban Ladder, spoke about the 7 P's of running a startup drawing example from his personal entrepreneurial journey. While he highlighted purpose with passion as a key ingredient, he also emphasized the importance of the core of the product being developed to be strong. The Startup Leadership Program(SLP), Bangalore Cohort presented start-ups from diverse domains like AgriTech, FinTech, Sustainable lifestyle, DeepTech, IoT based, Enterprise, AR, AI focused and healthcare. 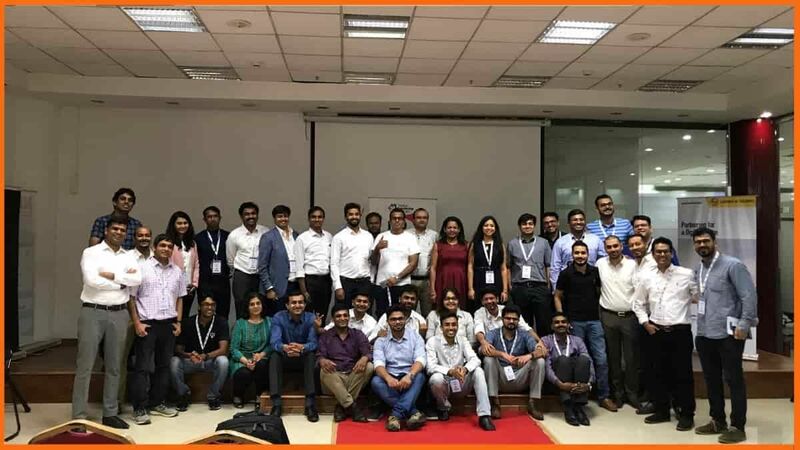 There were 4 startups form Delhi, Hyderabad, Chennai and Pune Startup Leadership Program (SLP ) chapters that were invited for the mega startup event in Bangalore. 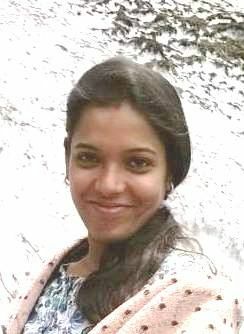 The SLP Bangalore cohort 2019 included Abhishek Mishra, Abhishek Reddy, Achuth Anand, Amogh Mukunda, Anubhav Ghosh, Arjun Kashi, Devleena Neogi, Mamta Bargale, Govind Jeyaram, Nida Sahar, Prachee Mandlekar, Rakesh Appaji, Rakesh Channaiah, Sainadh Duvvuru, Sanjo Simon, Santhosh V, Shailendra Tiwari, Sudhir Haregoppa, Veer Shrivastav,Vishal Uchil and Vivek Jaiswal. The Startup Leadership Program is a highly curated community driven offering that accelerates the growth of the founders. The non-profit organisation was founded in 2006 in Boston and has since has expanded to 26 cities in 12 countries. SLP offers a six-month program focusing not just on the idea but the founder. During these six months, the fellows meet on every two weeks for roundtable discussions or lectures with industry leaders, VCs and mentors. To learn more about the startups and the SLP Bangalore Chapter visit the facebook page @StartupLeadershipBangalore and twitter handle @slbengaluru.